American Office Services Upgrades Their Electrostatic Painting Equipment with a New 2018 Ransburg #2 LSX Gun and Cart Package! 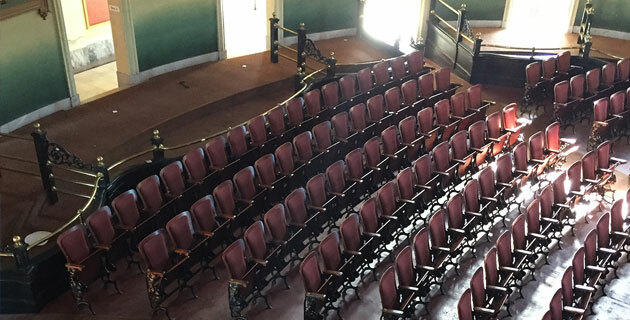 American Office Services is Proud to be a Part of Memorial Hall's Auditorium Renovations! American Office Services was selected to be a part of the renovations at Hamilton Memorial Hall in Cincinnati, Ohio. The 108-year-old building is expected to reopen early next month after the renovation project is complete. "Listed on the National Register of Historic Places, the Beaux Arts-style Memorial Hall isn't losing its marble staircases, Corinthian exterior columns and 550-seat performance theater (lowered from 600) – those unique features are being preserved or restored" (read full article). American Office Services is proud to be a part of this renovation project working to restore all of the theater seating in the facility. Check out the full project gallery here! 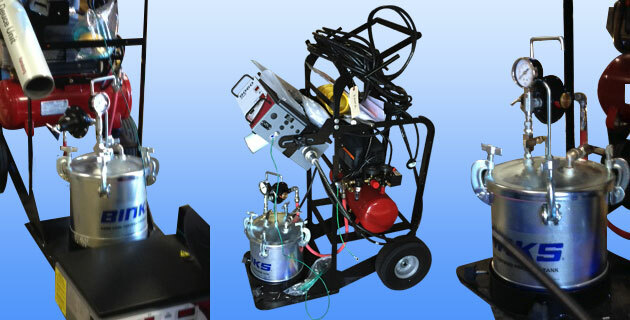 American Office Services Upgrades Their Electrostatic Painting Equipment with a New Ransburg #2 LSX Gun and Cart Package! American Office Services is honored to have been selected as a part of the United Nations’ Restored Security Council Chamber! American Office Services was selected to provide historical fixed seating restoration as part of the United Nations’ restored Security Council Chamber. All of the seats pictured in the article by Dwell were refurbished by American Office Services with new foam, fabric, and restoration of the metal components. Check out the close-up view of the recent American Office Services auditorium seat renovation project at Willson Auditorium in Bozeman, Montana. American Office Services provided the renovation of 1,100 fixed auditorium seating located in the Main Auditorium Level (upholstered chairs) and Balcony Level (non-upholstered chairs. For more on the story, click here!